Different varieties of birds hit the spot for different birders. There’s that excitement of warbler-watching along the woodlands and thickets during migration… the flurry of life and plethora of complex call notes and call notes. In the spring and summer, these birds wow us with their plumage, and in the fall they seem to migrate by while on a long-distance covert mission. There’s the thrill of hawkwatching in the spring and especially the fall… scanning the skies and admiring the distant and sometimes-close beauty of raptors; while using different techniques to identify each bird that moves by. Come winter, winter finches may irrupt to some of the hotspots nearby, and even in our backyards. Stellar shorebirds take refuge in many of the rapidly-declining mudflats and shoreline habitat right now, as they make their expansive journeys southward. 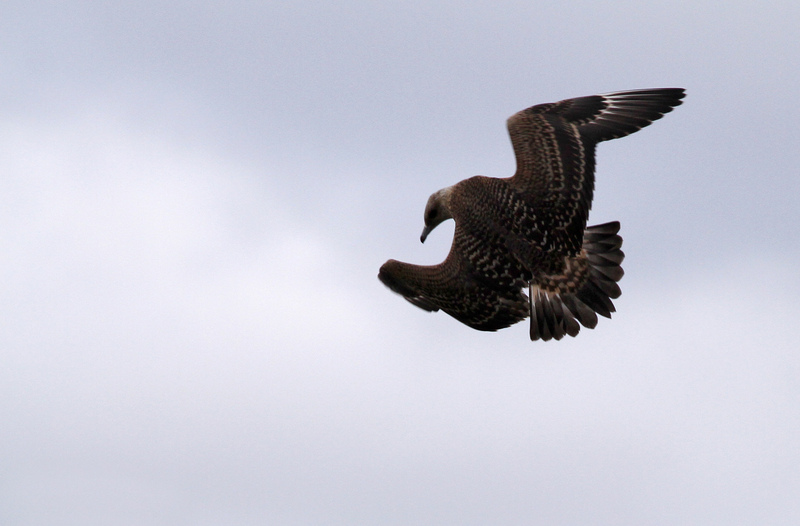 Dare I say that “g” word that brings the incredible joy to some, and shivers of confusion to others… gull-watching. 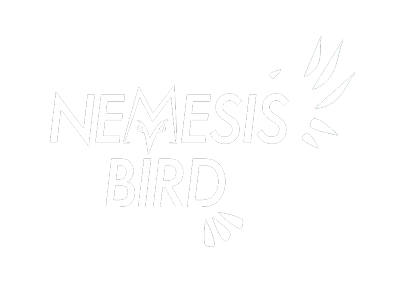 It is fantastic to get that thrill from all types of birds, and at the same time there is a special connection that each of us feel when we see birds that we connect to on a special level. That wow-effect is pretty sweet when you’re hooked on birds. One of the biggest thrills of birding along the shores of the Great Lakes this time of year, is seeing jaegers work their pelagic magic throughout the distant waters and on rare occasions, near the shoreline. 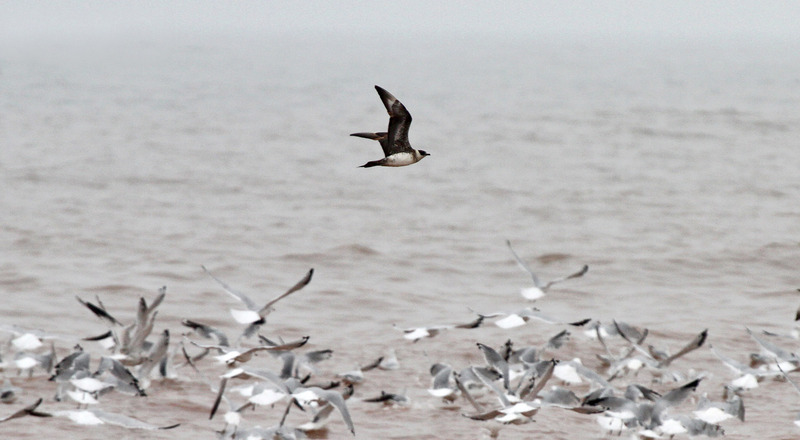 Along the western tip of Lake Superior, jaegers test the wits and fleeing ability of gulls from late August through early October. There is nothing in the world like scanning the open waters of a Great Lake at sunrise, and spotting the nutritional debate between a hungry jaeger and a panicked gull. There is even a field trip held in northwestern Wisconsin called Jaegerfest, to celebrate the fantastic birds seen this time of year! Jaegerfest has a little bit of history, regarding how the name came to be in northwestern Wisconsin. 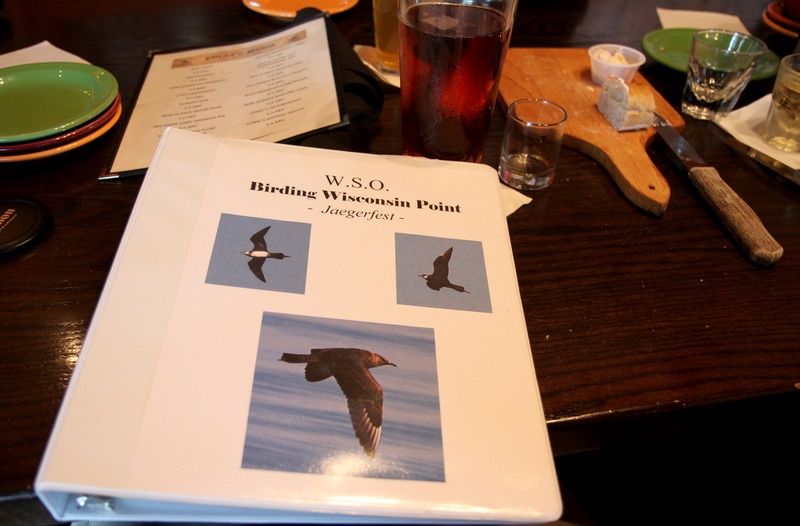 Fifteen years ago, the WSO (Wisconsin Society for Ornithology) created a field trip called the “Wisconsin Point Field Trip” that took place at Wisconsin Point in Superior, WI. Wisconsin Point is northwest/southeast oriented stretch of land that cuts across the western tip of Lake Superior. After realizing that jaegers were being seen year-after-year during this gathering, the name “Jaegerfest” was coined in 2006 by the WSO field trips co-chair, Tom Schultz. Since then, Jaegerfest continues to be one of the WSO’s largest field trips throughout the state! 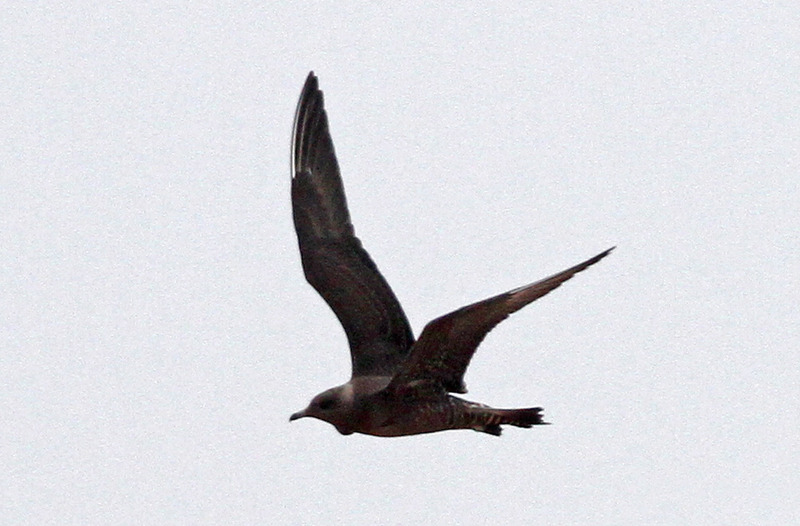 Here is a Long-tailed Jaeger circling overhead, during the recent 2013 Jaegerfest. We were just a little excited about witnessing this! 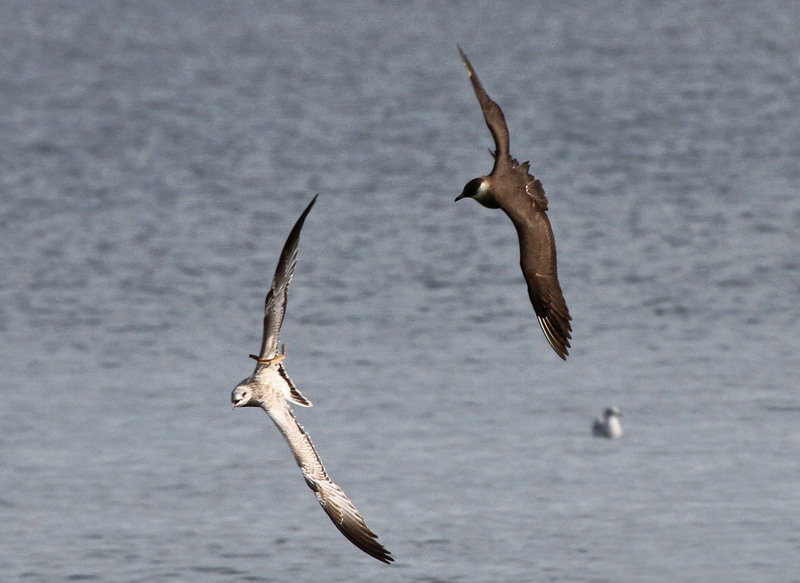 Earlier in the week, I recorded a Parasitic Jaeger chasing & harassing gulls in search of a meal. Jaegerfest is held during an amazing time for bird migration along Lake Superior. Birders have had amazing views of many birds outside of the already-rare jaegers. From Sabine’s Gulls, Pacific Loon, Red-throated Loon, to spectrum of boreal-breeding warblers, migrating Harris’s Sparrows and even a few records of Arctic Tern, Jaegerfest has much to offer for all birders! Just up the road and around the bend from Jaegerfest is Hawk Ridge Bird Observatory (Duluth, MN), which can be seen across the bay with the careful focusing of a scope. What unique birds are being seen in your area right now?